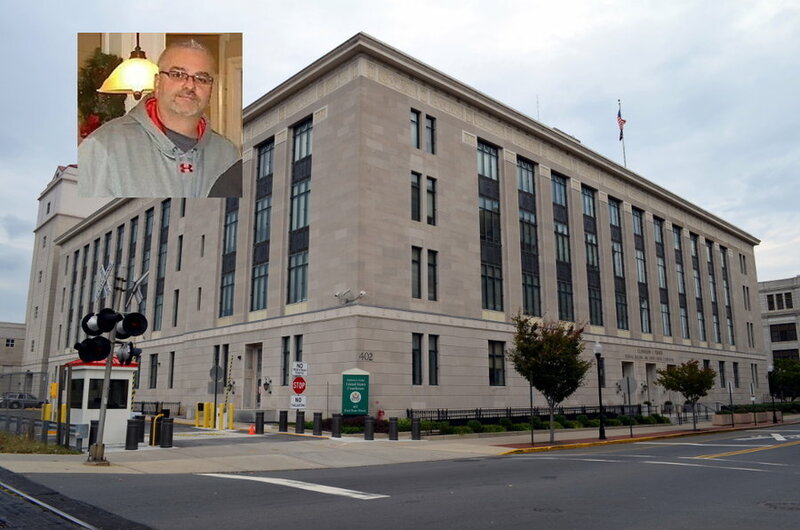 A former senior accountant for the City of Bayonne, Anselmo “Rocky” Crisonino, 56, was sentenced on February 27 to 21 months in prison for accepting bribes in return for directing hundreds of thousands of dollars in grant money from the federal Department of Housing and Urban Developmentto a local contractor, according to a statement from U.S. Attorney Paul Fishman. Crisonino was the senior accountant for Bayonne Department of Community Development (CBDCD), a government agency that received funds from the U.S. Department of Housing and Urban Development (HUD) under a federal program that provided grants of up to $20,000 to low-income families to rehabilitate their homes and to repair conditions affecting health and safety, accessibility, energy efficiency, or code compliance. The CBDCD also provided these HUD funds under the same federal program to nonprofit organizations. Crisonino was also sentenced to three years of supervised release and was ordered to pay $439,000 in restitution to the state. In February of 2014, he pled guilty to taking $65,000 in bribes from Joseph Arrigo, owner of Shadow Contracting, LLC, a general contracting firm based in Bayonne. In return for the bribes, Arrigo received assistance in securing $426,000 in U.S. Department of Housing and Urban Development (HUD) grants to Arrigo’s contracting firm, according to U.S. Attorney Paul J. Fishman. Crisonino was responsible for reviewing applications and awarding such funds to qualified applicants. In 2014, Crisonino also pled guilty to theft and conversion of federal funds, conducting an illegal gambling business and submitting a false tax return in 2011. Arrigo also admitted that he failed to report $151,993 in income on his tax returns the same year. In November of 2016, Joseph Arrigo, 47, of Bayonne, was sentenced to 15 months in prison after pleading guilty to paying $65,000 in bribes to Crisonimo. The man piloting the single-engine plane that crashed on Avenue E Sunday, Dec. 19, remains hospitalized, but in stable condition, at Jersey City Medical Center, according to a hospital representative. George Pettway, 56, of Long Island was the lone passenger aboard a Piper PA-28 plane during a pleasure flight that started at the Republic Airport in East Farmingdale an hour before the crash. The plane experienced mechanical issues flying over the Statue of Liberty, eventually crashing into power lines on 41st Street and Avenue E, miraculously not killing anyone. Three cars were damaged in the crash, thousands of people in the area went without power as the lines went down, and the plane narrowly missed a gas station. Suffice to say, disaster was averted. The National Transportation Safety Board said in a statement that investigation into the cause of the plane crash is still in preliminary phases and will take investigators months to complete. Significant findings on the crash will be released over the following months. Rumors are swirling about a possible Assembly run for BOE Trustee Christopher Munoz, who was among the first elected trustees in Bayonne after 35 years of an appointed board ended with a referendum. After studying at NJCU, Munoz became a social studies teacher in Hoboken. Munoz is an outspoken proponent of increased teacher pay in Bayonne, a perpetually underfunded district, which is currently in a $2 million structural deficit.He is known to voice his opinions openly at meetings, when many others tend to simply vote yes or no. Many expected Munoz to run for City Council, so if he is throwing his hat in the ring, it may come as a surprise to some. Munoz’s running mate is rumored to be Kristen Zadroga Hart, a Jersey City teacher and former campaign manager and spokesperson for Board of Education candidates supported by the Jersey City Education Association, which has a great track record in winning elections. A commuter van crashed into the rear of a Ford van in heavy traffic on the Turnpike at around 6 a.m. Monday, February 27, injuring the four people inside who were treated at Bayonne Medical Center for minor injuries, according to the Jersey City Police. The van, driven by a 46-year-old NYC resident, then continued driving to the Holland Tunnel. When police finally stopped the van at 7:30 a.m., five people aboard the van were taken to Jersey City Medical Center for minor injuries caused by the earlier crash, according to Port Authority Police. The NYC man was not issued a citation, and the incident remains under investigation.